Virtual School Application (Download)- We currently only taking applications for next school year (2019-2020). *This is Prom Week and it is time to vote and get complimentary tickets. Starting this Wednesday, April 24th and continuing Thursday, April 25th go to Mrs. McCarty's room to vote fro senior prom king and queen and for junior prom prince and princess. *If you are interested in being a VHS Rambassador for the 2019-2020 school year, please see Mr. Creel or Mrs. Phillips to get an application. Rambassadors are our Valley High School representatives at events here at VHS, as well as, in our community. If you have any questions, also feel free to see Mr. Creel or Mrs. Phillips. Applications are due by next Friday, May 3rd. *Volleyball tryouts will be May 15, 2019 in the VHS Gym from 4:00 - 6:00. Anyone who wants to try out please sign up with Coach Lewis. You must have an up to date physical to try out. *Attention all SGA Seniors--Graduation Honor Cords are on sale now through April 25th. The cords are $6.00. You may pay Mr. Engram before or after school or during advocacy. If you have any questions, please see Mrs. Hornsby. *We have Hike/Bike/Run Forms in the office. Please participate in this great event and help support Valley Haven School. You can participate by helping fill the Change Makes Cents jar. The school that has the most change in the big jar will be recognized by having their picture in the Valley Times News and Awarded a plaque from Valley Haven School. Please bring money to your Advocacy class to compete for a pizza party. Jars will be picked up on May 2nd. *If you are a junior interested dual-enrollment classes next school year and a scholarship to pay for it...see the counselors. All Applications must be turned in to the counselor's office by 3:00 PM on Thursday, April 25, 2019. *Have you been playing guitar for a year or two? Bored of the basic chord progression? Valley High School is looking at the possibility of offering an Advanced Guitar class next school year. A sign-up sheet is located in the front office for students wishing to build on their guitar skills and experience a variety of genre band settings. Once signed up, Mr. Meadows will contact you moving forward. *Blizzards will be sold after school at the window in the main office for $3 each. We are now accepting applications for Virtual School for the 2019-2020 school year. Please download the application and complete it. Return it to Mr. Creel-Flores at VHS. There will be a mandatory meeting for everyone interested on April 22, 2019 at 5:00PM in the VHS Library. Mu Alpha Theta (Math Club) offers free math tutoring. 1. The regular diploma and the mini diploma are $35 each or both for $65. 2. You may pay online or you can call Balfour and make payment over the phone. 3. Once you place your order, Balfour will contact Valley High for verification. 4. To order you will need to visit the Balfour website at www.balfourAL.com. 9. When is asks how much the payment is, please select “other” and enter 35.00 or $65 depending upon whether you are purchasing one diploma or a diploma and mini. 11. The next screen that appears will be the secure portion of the website – we can’t see anything from that page so it’s very important they complete the first screen. All About VHS: Valley High School is a fully accredited 9th through 12th grade facility located in the rapidly growing area of East Alabama. As of January, the high school currently has a student body of 852 students served by 70 faculty/staff members. 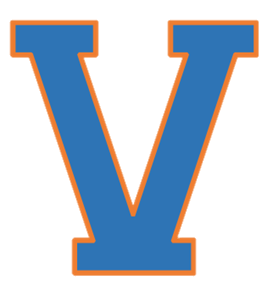 Valley High offers a full range of opportunities academically, athletically, and socially. We have both general and advanced academic courses. We also give highly motivated students the opportunity to do college level work and earn college credit hours while still in high school by attending Southern Union State Community College through our dual enrollment program. Secondary to our strong academic curriculum are the opportunities afforded our students athletically. Our female students compete with other high schools in volleyball, basketball, softball, track, tennis, soccer, and competition cheer. Our male students compete in football, basketball, baseball, soccer, tennis, and track. On the non-competitive level, our curriculum includes physical education. Valley High has a long tradition of excellence on the playing field. Most importantly, our students are taught to win or lose with dignity and pride in themselves and their school. The opportunities provided for our students to grow socially come from a wide array of activities and clubs which are available to all who wish to participate. Service and social clubs, such as Key Club and FCCLA actively promote community involvement in our students. Events at school such as Homecoming, Miss Vallerata Pageant, the Junior-Senior Prom, and many, many others allow our faculty and students to work together outside of the classroom. Needless to say, many of the best and most memorable lessons in life come from these social interactions. If you have already chosen to relocate in our community, we welcome you and look forward to our work together. If you are visiting our area, on behalf of the students, faculty, and staff of the Valley High School family, we would like to extend to you an open invitation to visit our campus at any time. Should you be moving to our area with teenage children, you will find in Valley High School an atmosphere open and receptive to new students with a great pride in our school and its students. We look forward to having you in the Valley High family. Recognizing that our students are the leaders of tomorrow, Valley High School strives to provide the opportunity for a quality and equitable education for all students as they grow and become successful lifelong learners who will survive and thrive in our ever-changing global community. If you need to contact anyone at the school you may either email them from their personal page or email the address above and it will be forwarded to them. Parents of VHS students we need your help! Please take a couple of minutes and complete the following survey. If you do not have access to a computer, please feel free to come to the school and we will be glad to assist you. 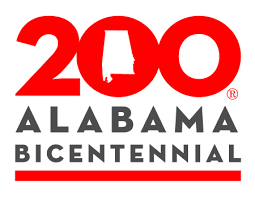 Celebrate Alabama’s 200th anniversary of statehood with a celebration of our state’s natural beauty, diverse people, and rich history.